IMPOSSIBLE TRICK is a great effect to add to your routine. An impossible prediction comes true in impossible conditions. DOWNLOAD INSTANTLY. EASY TO DO AND HIGHLY RECOMMENDED. (INCLUDES PDF, VIDEO, AND PICTURE). Your deck of cards has stickers on each card. Each sticker is either pointing left, right, up or down. The spectator takes off some cards and mixes them, while the performer deals the remaining cards face down onto the table in a large grid. 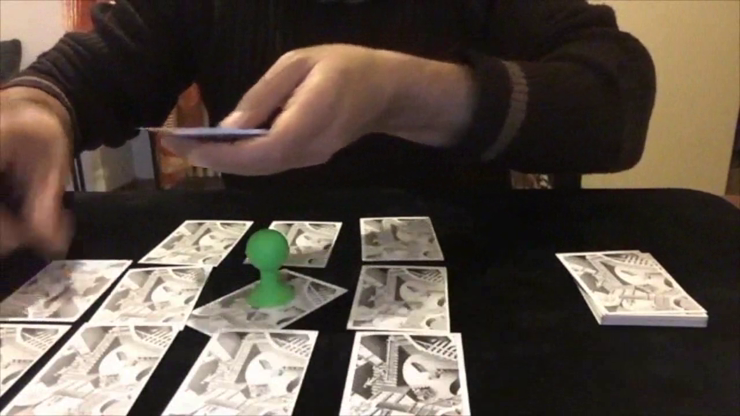 The spectator is then asked to deal their cards onto the table in an interesting way: the first card is dealt onto one of the face down cards, and then the next is dealt in whichever direction the previous card's sticker is pointing. 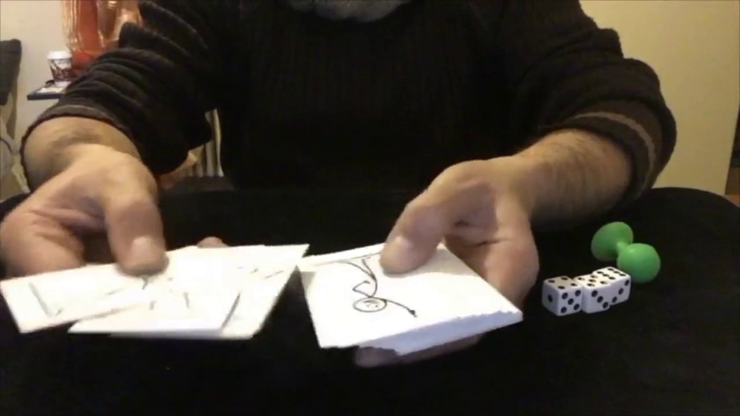 When the spectator finishes dealing their cards in this manner, they turn over the card to which the final sticker is pointing. It is your prediction! "EASY TO LEARN. FUN TO PERFORM." Download the video and learn how to knock people out with this pointing miracle!